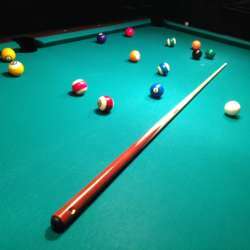 As the new Consul to the group, I would like to invite you an evening to relax and shoot some Pool at Frankfurt's biggest Billiards Lounge. The cellphone reception inside is terrible so if you arrive later, please just come inside and find me. The cost will be split among the people using the table and everyone pays for their own drinks.